Open Minds Ann Arbor, LLC is located at 2890 Carpenter Road, Suite 1500, Ann Arbor, MI 48108, in the Sparrow Wood Office Center, a two-story building with parking in the front and back. My offices are located on the second floor. From Carpenter Road: Turn off Carpenter Road onto a private road, Sparrow Wood Drive, and make a quick left turn in front of a row of mailboxes. Make another quick right turn, passing 2864 and 2860 Carpenter Road (see drawing below). From Packard Road: Turn off of Packard Road onto Gross Road, just east of the Packard/Carpenter intersection. Gross Road runs parallel to US-23 and is marked by a stone lion statue on either side of the road. The first drive on the right-hand side of Gross Road enters the rear parking lot and accessible entrance for the Sparrow Wood Office Center. The southbound #66 bus (traveling towards Meijers from Washtenaw Avenue) stops on Carpenter Road just before reaching Packard Road. 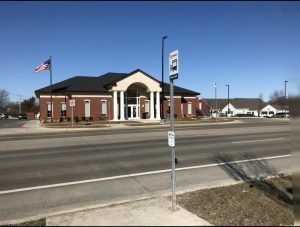 The bus stops in front of a credit union, DFCU, which is adjacent to 2860 Carpenter Road (see map above) and is on the same side of the road as Sparrow Wood Office Center. The northbound #66 bus also stops on Carpenter Road before Packard Road, directly across from DFCU. To reach Open Minds Ann Arbor, LLC when riding the northbound bus (traveling towards Arborland), cross Packard Road at the intersection with Carpenter. The eastbound #5 bus (traveling towards Ypsilanti Transit Center) stops on Packard Road just before reaching Carpenter Road. Cross the street at the intersection with Carpenter and proceed north to the Sparrow Wood Office Center (see map above). 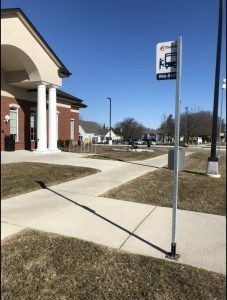 The westbound #5 bus (traveling towards Blake Transit Center) stops on Packard Road just after the intersection with Carpenter Road. Head west on Packard Street toward Gross Road. Turn right on Gross Road. 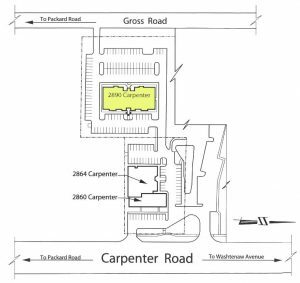 The rear entrance to the Sparrow Wood Office Center will be the first drive on the right hand side of the street. Disembark the #4 bus (traveling towards Ypsilanti Transit Center) at the Washtenaw County Service Center. Head west on M-17W to Carpenter Road, then turn left. Proceed to 2890 Carpenter Road. This walk takes about 11 minutes, a distance of 0.5 miles. Check http://www.theride.org/ for current schedules and route information. 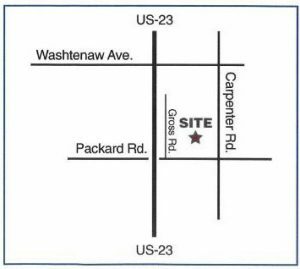 Open Minds Ann Arbor, LLC is located on the east side of Ann Arbor and can be easily reached by I-94, US-23, Washtenaw Avenue, Carpenter Road, and Packard Road. Click the link for directions to my offices using Google Maps. My offices are located in Suite 1500, on the second floor. Entering from the front of the building requires climbing a flight of stairs from the ground to the second level. An elevator is accessible from the rear entrance of the building. Accessible parking is available in the parking lot at the rear of the building. At this time, there are no van accessible parking spots. 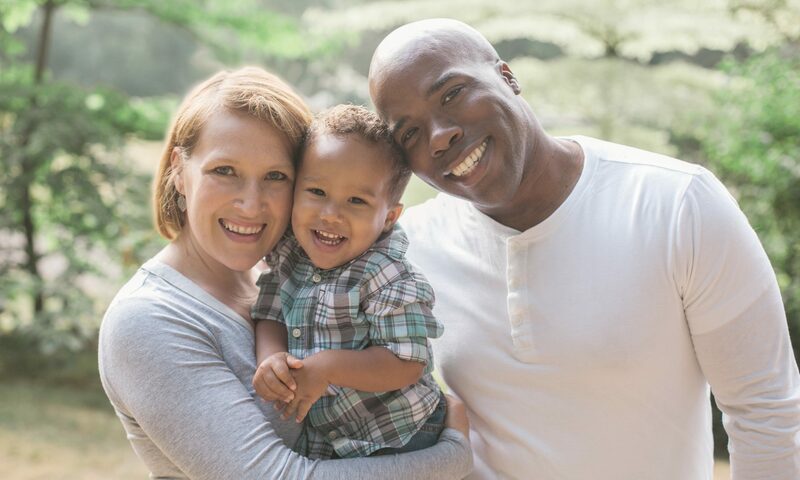 For more information on my practice’s accessibility and inclusion policies, please visit Open Minds Accessibility.